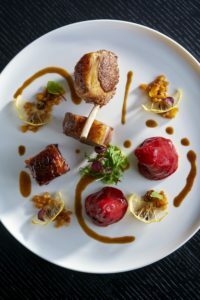 Award winning Chef Frédéric Vardon proudly introduces the Hong Kong edition of his Michelin-Starred restaurant LE 39V which is located on the 101th floor in ICC. 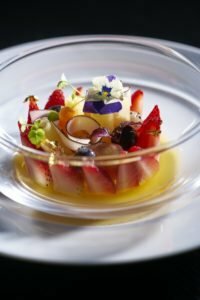 The award winning chef will be helming his team of professionals from Paris to interpret his passion and philosophy in culinary through his intriguing French cuisine to Hong Kong. The Michelin Starred LE 39V first opened in 2010 with great dedication and passion by Chef Frédéric Vardon. Le 39V is located in a prime location- Heart of Paris’ Golden Triangle, and the restaurant owes its name to its address, 39, Avenue George V.
The restaurant features Chef Frédéric Vardon’s artistic French cuisine and was loved among diners from France and overseas. In 2012, Chef Frédéric Vardon was granted the first Michelin Star for LE 39v. Menu of Le 39 V will be synchronizing with the one in Paris, featuring seasonal ingredients prepared in Chef Frédéric Vardon’s style which combines traditional and innovative approach. 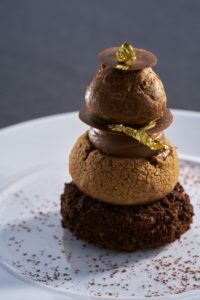 The simple yet encompassing menu covers delightful starters which brings refreshing original flavors from the ingredients; beautifully presented main courses which showcases the uniqueness of Chef Frédéric Vardon’s cuisine, and dreamy sweet creations that reminds people of the beauty of Paris. 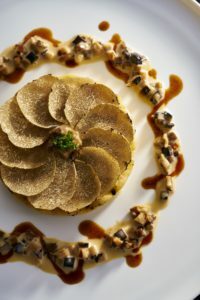 Signature dishes include Niçoisé-style red mullet; Thick monkfish from France with shellfish; Blue lobster ravioles printed with herbs; LE 39 V Paris Brest; and Relieuse au chocolate. 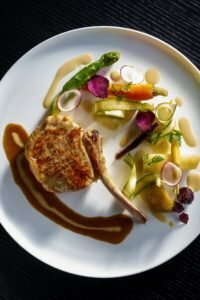 Chef Frédéric Vardon wishes to bring not only his culinary creations to Hong Kong, but also the philosophy of ‘Art of French Living’- a belief that people will be able to savor life through high quality culinary creations and dining. Le 39V Hong Kong opens with a perfect legacy from the flagship restaurant in Paris. The venue pays tribute to original interior design that boasts privacy and elegance. The venue sets in a modern style which exudes warmth and comfort; the use of fine traditional materials are well paired with the modern and tastefully elegant décor. 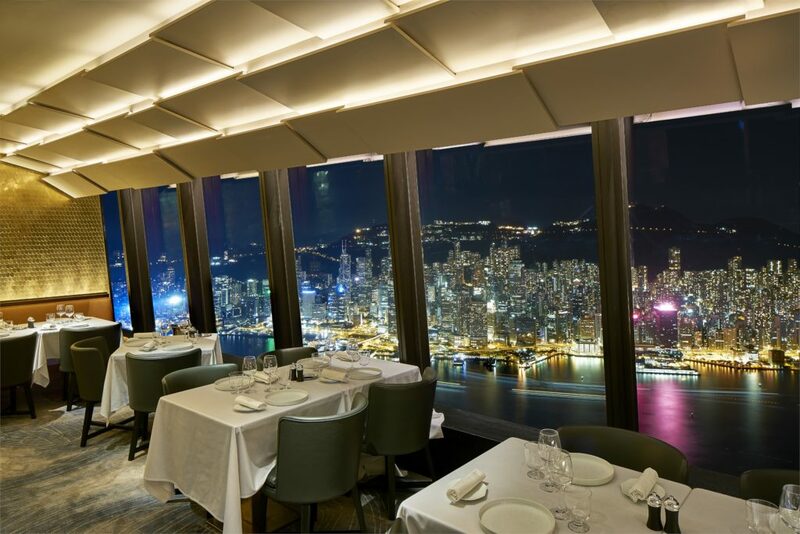 The unique and unobstructed view of the Victoria Harbor will surely be a perfect backdrop for the dining experience. Please noted that all online reservation should be submitted 1 day before the reservation date. For reservation on the same day, please contact us by phone at 2977 5266 for confirmation, thank you.